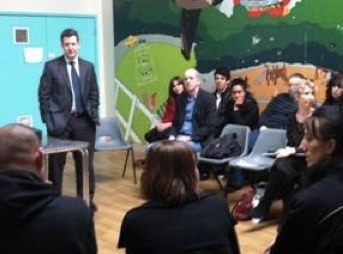 On Friday Nottingham East MP Chris Leslie attended a meeting at the Greenway Centre to meet people from the Roma community, mostly Sneinton residents from the Czech Republic. He heard about the language and other difficulties that this community has to deal with and about the local services that are in place to try and meet their needs. Mr Leslie said "it was a worthwhile discussion and I pay tribute to those at the Renewal Trust, St Anns Advice Centre and others for helping advise and support those in need."